Sheriff deputies are notifying affected residents directly after the incoming Type 1 Incident Command Team was briefed on the Paola Ridge, Coal Ridge and Howe Ridge Fires earlier today. That team will assume command of those fires later this week. Highway 2 remains open, but law enforcement urges people to avoid the area if possible, or slow down, due to smoke and emergency vehicles in the area. The lightning-caused fire is burning in the Flathead National Forest and is separate from the blaze that prompted evacuations about 40 miles away around Lake McDonald. The evacuation warning is along US Highway 2 from mile marker 176 to mile marker 179, including Branch Rd, Bugling Elk Trail, Dickey Creek Loop, Eagle Haunts Run, and Lazy Moose Trail. The evacuation warning and map can be found here. Highway 2 remains open, but an area closure order is in place, closing the area and local roads and trails. Local landowners are being allowed to drive through the area. A temporary flight restriction is in place over the area, meaning drones and aircraft are not allowed in the area. 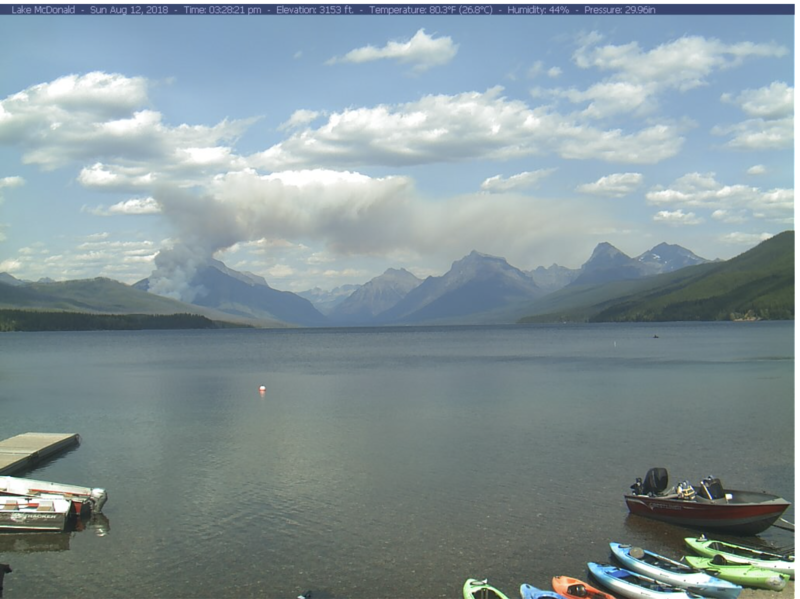 The Howe Ridge Fire in Glacier National Park that has destroyed multiple structures on the north end of Lake McDonald is now estimated to be 2,600 acres. Park Fire Information Officer Diane Sine says winds are pushing the fire north but that there’s potential for it to grow in all directions. "The reality is we have active fire on the ground," Sine says. "We have many weeks remaining of fire season, and we will be engaged in controlling this fire as best as we can for many weeks to come." Firefighter safety and structure protection remain fire managers’ top priority. Homeowners were allowed access to their properties on a case-by-case basis earlier today. Yesterday the Park Service announced that all but one cabin at Kelly’s Camp at the far end of North Lake McDonald Road had burned, along with a handful of outbuildings and two boat houses. Firefighters were able to save the historic Wheeler cabin and the Lake McDonald Ranger Station after both caught fire. Two super scooper air tankers and a helicopter resumed dropping water on the fire today, focusing on the fire’s more active north flank. Firefighters on the ground are focused on structure protection and monitoring the fire overnight. Sine says Apgar area residents are now in “Ready” status, meaning they should create defensible space around structures, assemble emergency supplies and identify escape routes. "And that's not to be interpreted as any dire concern right now," Sine says. "That's just the reality for everyone who lives in northwest Montana this time of year." A Type 1 Incident Management Team from the Southwest arrived for an in-briefing earlier today and will assume control of the fire later this week. Going-To-The-Sun Road remains closed west of Logan Pass to the foot of Lake McDonald near Apgar. 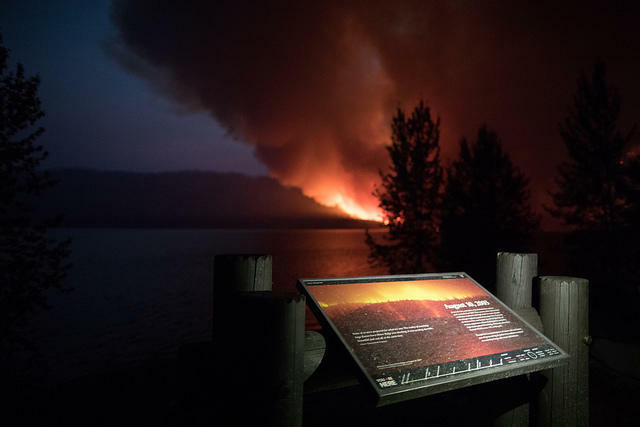 Evacuation orders for Lake McDonald Lodge, Avalanche and Sprague Creek Campgrounds and about 50 private residences along the north end of the lake remain in place. Glacier has canceled the Logan Pass Star Party scheduled for Friday night due to smokey skies. Stage 2 fire restrictions will go into effect tonight at midnight on the Flathead National Forest, excluding the Great Bear and Bob Marshall Wilderness areas. Stage 2 restrictions will also go into effect in Flathead County, Lincoln County, Sanders County, Lake County and on the Kootenai National Forest. 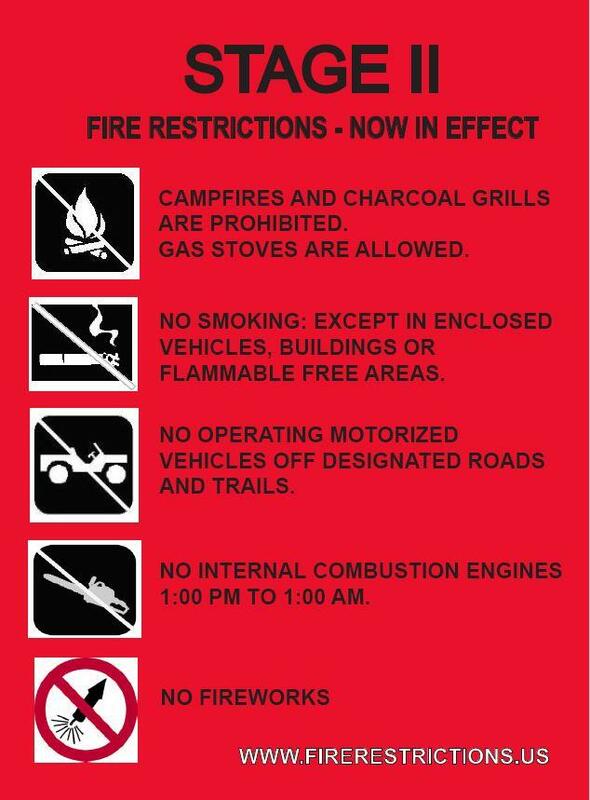 Stage 2 restrictions prohibit building campfires and smoking outside of a building or vehicle. Stage 1 fire restrictions go into effect today for all of the Beaverhead-Deerlodge National Forest. Under Stage 1 restrictions, campfires are only allowed in recreation sites with metal or concrete fire pits. Smoking is not allowed outside of vehicles or buildings. 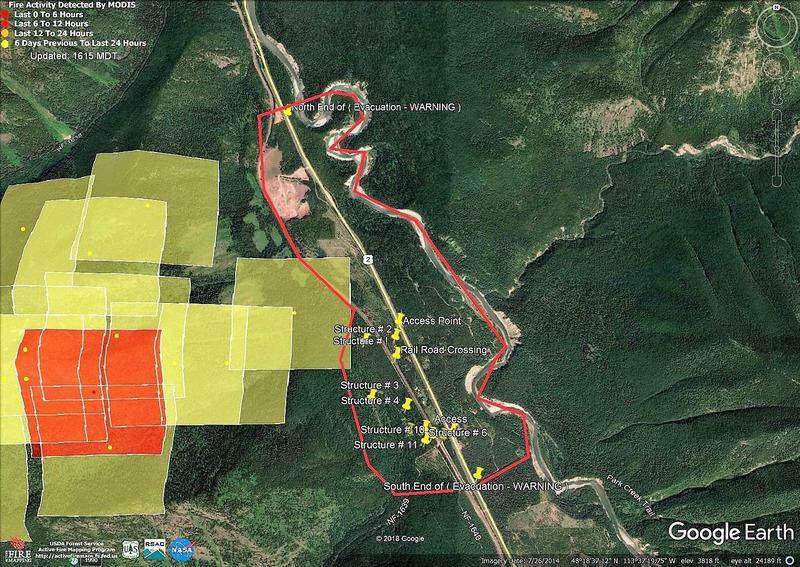 The Trail 467 Fire, southeast of Lincoln, near Poorman Creek, jumped part of the fireline yesterday afternoon. Two large airtankers, four single-engine airtankers, and a heavy helicopter kept the fire spread to about 10 acres. The fire is currently 30 acres and is 30 percent contained. Today, firefighters will keep constructing fireline, mopping up, and looking for hot spots around the new part of the fire. The Bacon Rind Fire in the Lee Metcalf Wilderness in the Custer Gallatin National Forest and the northwest corner of Yellowstone National Park saw minimal growth yesterday and is now 1,388 acres. The fire is on the west side of Highway 191. The Highway is open, but there may be short delays and a pilot car through the fire area. There will be a community meeting tonight at 7:00 p.m. at the Community Protestant Church in West Yellowstone. Fire managers will give a short overview and update of the fire. The Goldstone Fire in the Bitterroot Mountains, on the Montana-Idaho border is estimated to be 4,000 acres. A Type 2 Incident Management Team is taking control of the fire today. The Highway 37 Fire that was threatening the former WR Grace asbestos mine north of Libby is now 100 percent contained. Shawn Ray-Delmas, a spokesperson for the Kootenai National Forest, says the wildfire was fully contained a few days before an official announcement was made Monday.